Even India’s most valuable company is now interested in cryptocurrencies. Reliance, India’s venerable 41-year-old corporate behemoth, is jumping headlong into the hottest technology of this millennium, reports Livemint. Reliance will launch its cryptocurrency called JioCoin, and the project will be led by the suitably-young Akash Ambani, the 26-year-old son of CEO Mukesh Ambani. Reliance seems to be emphasizing on youth as it attempts to take on this very-21st-century vertical. 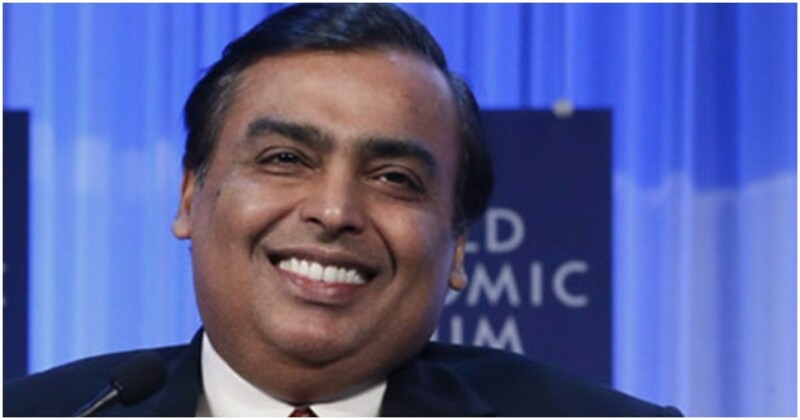 “The company plans to hire 50 young professionals with average age of 25 years for Akash Ambani to lead,” a source reportedly said. These “young professionals” will work on implementing blockchain applications that Reliance can use in its operations. “One (application) is cryptocurrency. We can deploy smart contracts. It can be used in supply chain management logistics. Loyalty points could altogether be based on JioCoin,” the source added. Jio isn’t the first company to try to latch on to the cryptocurrency bandwagon — just a few days ago, long-forgotten camera company Kodak had announced that it was launching its own“photo-centric cryptocurrency to empower photographers and agencies to take greater control in image rights management,” and its stock, which had been declining for five years, rose 44% in a single day. Smaller, more obscure companies have also benefited from even the slightest hint of cryptocurrencies in their business operations — in October this year, a company had seen its stock rise 394% in one day after it had simply added “Blockchain” in its name. in December, Florida-based Rich Cigars had said it would stop manufacturing cigars and instead start mining bitcoin, and its stock had jumped 2233%. It’s not only private companies (and investors) that seem enamoured with bitcoin. There have been reports that even the Indian government is considering launching its own cryptocurrency, called Lakshmi. Japan, China, Sweden and Estonia have all announced plans to launch their own cryptocurrencies, and even struggling Venezuela, which is battling a collapse of its national currency, seems interested in crypto. Few of these projects, though, are up and running, and even fewer have produced any sort of useful results. Reliance certainly has the resources to dabble in crypto, being one of India’s most cash-rich companies, and it also has several verticals under its umbrella, meaning there might be potential for it to find uses for blockchain applications. But that’s a problem with most crypto projects — everyone seems to be announcing them, without any clear idea of what they might achieve. 11 Times When Indian Startup Wars Got Very Real This Man Sniffs Objects For A Living…At NASA Amazon Gives Its Employees $5000 To Quit Their Jobs Got A Job At Infosys? This Is How Much Money You’ll Make Yahoo’s Iconic Messenger Is Now A Thing Of The Past This Is What Sundar Pichai’s Morning Schedule Looks Like Internet Wants To Reward ‘Laziest Guy’ Who Used Flipkart As ATM A CEO Wrote A Brutal Open Letter To “College Crybabies” The Phenomenon That’s The Pulse Candy: 100 Crores In 8 Months Nobody Seems To Use Hike. We Tried To Find Out Why.